Garden pieces need finishes that offer both protective and attractive properties. 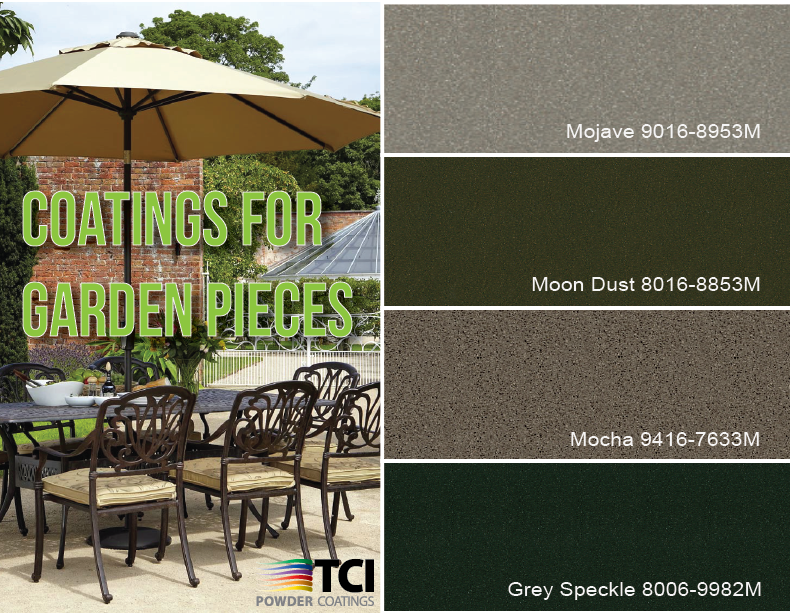 TCI’s furniture and fixture coatings offer excellent surface protection and diverse styling options. If you’re in the market for outdoor furniture coatings, we’ve got you covered. Visit TCI’s website for more information on furniture and fixture coatings! Features like chromatherapy and hydrotherapy The Academy, similarly to seats, should make bathing appear like you are in a spa. Another luxurious feature many tubs have can be the dimensions. Many humans love relaxing in massive tubs, and if you're one in all them, then a stroll in bath are without a doubt for you for my part. Dave Severson Promoted to Director of Sales!